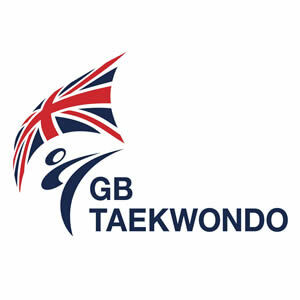 Established in 2002, GB Taekwondo is responsible for the preparation, management and performance of British athletes at the Olympic Games and at World and European Championships. Based in Manchester, we manage the full time ‘World Class Performance’ programme and with the support of UK Sport and National Lottery funding, we have up to 20 athletes living in the city, and training out of the GB Taekwondo Academy in East Manchester. With the further support of Sport England, we manage the national Talent Pathway programme, responsible for the development of cadet and junior athletes and their progression as members of the national squads. GB Taekwondo delivers an annual programme of major events which is set to include: the World Taekwondo Grand Prix in 2017 at the Copper Box Arena in London and in 2018 which will take place at the Regional Arena in Manchester, as well as, the World Taekwondo Championships in 2019 at the Manchester Arena. Since winning our first World Championship gold medal in 2001, GB Taekwondo has enjoyed continued success on the international stage, notably securing our first Olympic medal at Beijing 2008 before winning gold & bronze medals at London 2012 and gold, silver & bronze medals at Rio 2016. With the ongoing support from our national governing body, British Taekwondo and our valued stakeholders and partners, we continue to strive for improvement and success. Sport Taekwondo UK Ltd is a company registered in England & Wales with its registered office at The National Taekwondo Centre, Ten Acres Sports Complex, Ten Acres Lane, Manchester, M40 2SP.